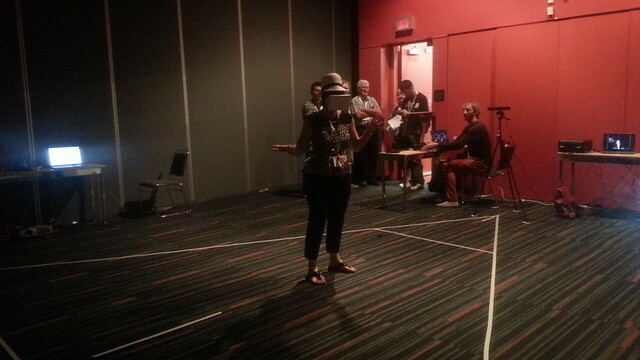 Prototype presentation of Daniel’s Xray-crystallography project at the International Union of Crystallography congress (August 2014) at the Palais des Congres in Montreal. We had a setup to demo a kinect-tracked real space and oculus rift-enabled reciprocal space. Posted in Blog and tagged conference, crystallography, montreal.